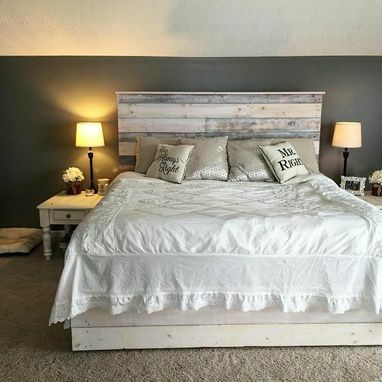 A custom handmade bedframe. This is one of our top sellers called the "Tiffany" in white wash. It has slats so you just need to add your mattress.